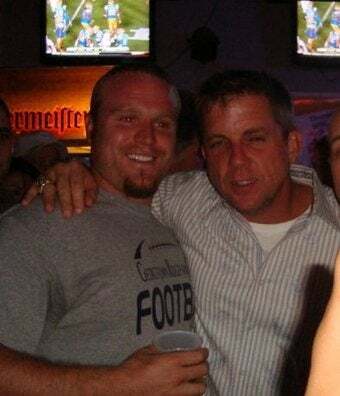 According to tipster kjlsports, defending Super Bowl champ Coach "Sean Payton was on Eastern Illinois's campus this weekend as his alma mater retired his jersey number." Fortuitous Jager neon placement too, yo. In fact, I'm going to have one just because of Sean Payton's sotty mug. If you're around a bottle, group shot at 5:30 p.m.